sparqs is delighted that our work to support the development of college students' associations has been continued for a further two years. 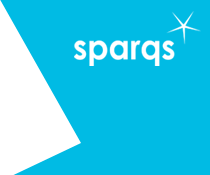 The support from sparqs and NUS Scotland has been funded until January 2019 by the Scottish Funding Council, in order to continue the work to strengthen the governance, democracy and sustainability of college students' associations following regionalisation. The work will be aligned to the Framework for the Development of Strong and Effective College Students' Associations in Scotland, published and launched in June 2015. In the past two years, colleges and students’ associations have made significant strides forward in terms of building student engagement partnerships and this work is designed to embed and raise it to another level. When the Partnerships for Change project (which supported colleges through regionalisation) came to a close in Autumn 2014, we were delighted with the decision that national support for students’ association development did not end there. At the FE Strategic Forum on 20th August 2014, Michael Russell MSP, the Cabinet Secretary for Education and Lifelong Learning, announced that NUS Scotland and sparqs would receive £300,000 over the following two years from the Scottish Funding Council to support the delivery of the Framework for developing strong and effective college students’ associations. This new funding up until January 2019 is a further commitment to continue this support. The above-noted Framework, published in June 2015, is housed on a dedicated SA Framework website, which contains supporting documentation, including a Self-Evaluation and Development Planning Tool, useful links and information around the continued support offered by NUS Scotland and sparqs. Our support involves working in partnership with colleges and students’ associations to develop their representative structures and further promote the student voice to enhance its impact on the quality of learning and teaching. Our team of Development Consultants are assigned as key contacts for each college, to work with them and help them achieve their objectives. During 2016/17 we introduced 'Annual Support Visits' for colleges, to enable us to map out and plan activities, with a view to providing consultancy to meet the needs identified by colleges. Development of Student Partnership Agreements. Development of course rep and lead rep systems. Support for staff who work within students’ associations, with events and opportunities to share good practice. Training and resources for students’ associations to use national college survey data effectively to improve the learning experience. Development of guidance and practice on the enhanced role of students’ associations in college and external quality processes. Development of engagement with apprentices. framework - How good is our college? (2016). For more information, please contact Eve Lewis.